Clarabelle Lehman, 90 of Van Wert, died at 9:55 p.m., Monday, November 20, 2018 at the C.H.P.-Inpatient Hospice Center in Van Wert, Ohio. She was born on December 23, 1927 in Paulding County, Ohio, the daughter of the late John and Carrie (Shaffer) Kemler. On June 17, 1950, she married Floyd Allen Lehman, who preceded her in death on October 7, 2014. 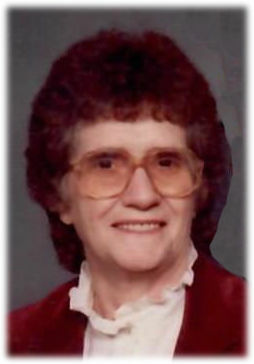 Clarabelle was a homemaker and factory worker at North American Phillips Lighting Corp. She was a active member of First Church of God in Van Wert; volunteered for Hospice and Century Trading; a was a graduate of Hoaglin-Jackson High School. Family survivors include her three sons, Gary A. Lehman of Van Wert, Dale R. (Judy) Lehman of Van Wert, and Dana B. (Balinda) Lehman of Summerville, South Carolina; two sisters, Caralou Ashbaugh of Georgia, and Joan Sullinger of Kenton, Ohio; seven grandchildren and eleven great- grandchildren. She was preceded in death by her husband, Floyd; sister, Elaine Robey; and brother, Howard Kemler. Funeral services are scheduled for Saturday, November 24, 10:30 a.m. at First Church of God in Van Wert, officiated by Rev. Ben Brigham. Burial will follow at Woodland Cemetery in Van Wert. Visitation will be Friday, November 23, 1-5 p.m. and Saturday from 10:00-10:30 a.m. all the church, 314 S. Harrison Street, Van Wert. Preferred memorials are to the First Church of God.